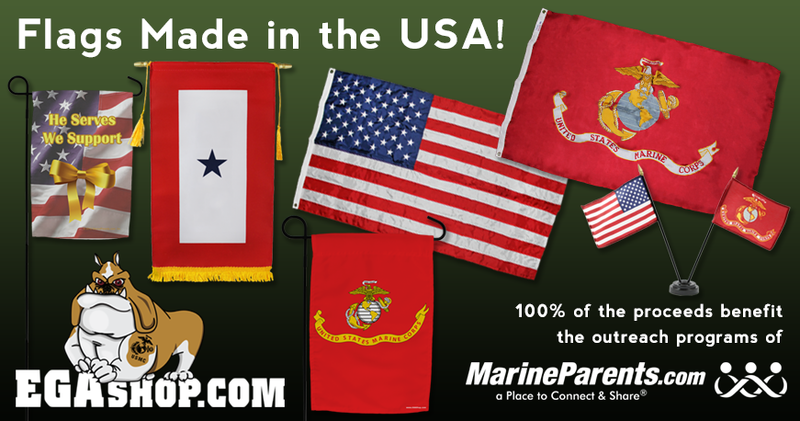 This flag is made of a durable lightweight nylon and is 100% made in the USA to the highest standards. They are finished with a strong canvas heading and 2 brass grommets. This flag is great for indoor or outdoor display and ideal for rainy areas as it is quick drying. The lightweight, close weave enables it to fly in the slightest breeze for full visual effect. This flag is a single reverse image. 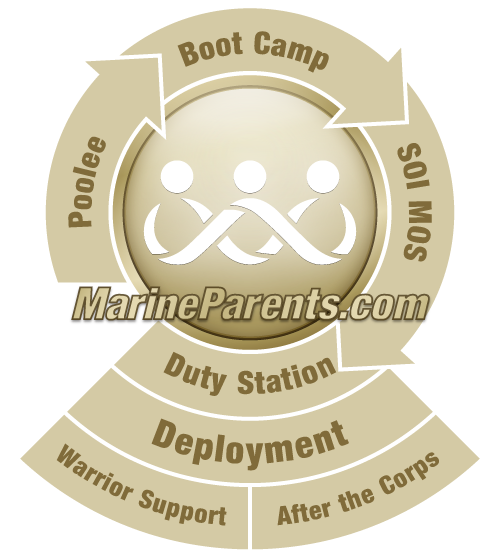 The Marine Corps flag is scarlet with the Marine Corps emblem, which contains a fouled anchor, a globe displaying the western hemisphere, and a spread American Bald Eagle atop the globe. A ribbon held in the eagle's beak carries the Marine motto, "Semper Fidelis," (Latin for "always faithful"). Below the emblem a larger ribbon holds the title, "United States Marine Corps." 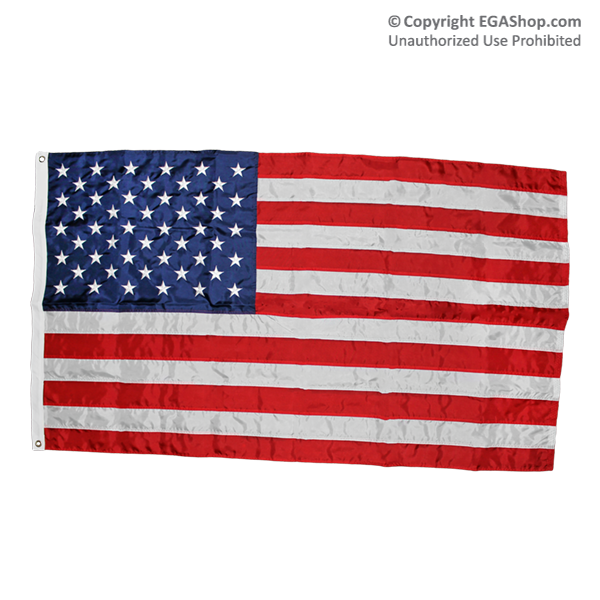 Our new 3x5 foot double-sided nylon American Flag is a combination of strength and brilliant display. Best of all, it is 100% Made in the USA! It features sewn stripes and embroidered stars, finished with header and grommets and lock-stitching on the fly-ends. 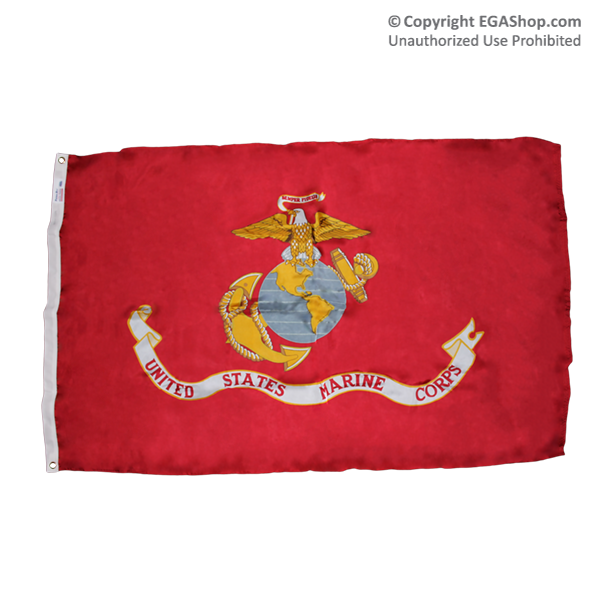 This flag is great for indoor or outdoor display and ideal for rainy areas as it is quick drying. The lightweight, close weave enables it to fly in the slightest breeze for full visual effect. This beautiful flag will show your American Pride and is worthy of flying over any military member's home. Fly with Made-in-the-USA Pride!